Hydrology is a key factor in the dynamic of zooplankton community in lakes with high water renewal rate. Crustaceans’ zooplankton biomass can sharply decline during flooding periods as consequence of wash-out effect. 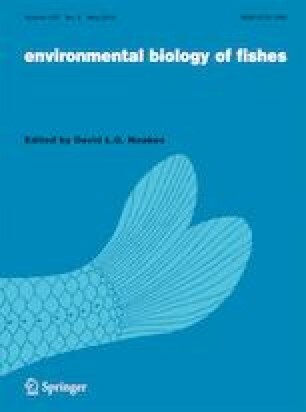 The hydrologically induced changes in zooplankton community may certainly affect the feeding behaviour of planktivorous fishes, but this has not been studied yet. The inland silverside, Odontesthes bonariensis (Valenciennes, 1835), is the main visual planktivorous fish in temperate shallow lakes of South America. We analyzed the diet composition and feeding strategy of O. bonariensis in a large run-of-the-river shallow lake, along two consecutive spring-summer periods with contrasting hydrological conditions. Water residence time varied one order of magnitude between flood and drought period. As it was expected, silversides showed size selective feeding on large cladocerans during drought period when zooplankton biomass was high. On the other hand, during high flushing period, zooplankton abundance decreased noticeable and silversides drastically changes its feeding behaviour from visual planktivore to benthivore. The analysis of the feeding strategy of O. bonariensis showed that this species largely behaves as a specialist irrespective of the hydrological conditions. However, the main involved prey varied from large Daphnia during low flow conditions to large Ostracoda during floods. Our study reveals that the variation in the availability of suitable prey induced by hydrological variability is associated with a drastic change in feeding grounds and prey selection of O. bonariensis. This flexible predatory behaviour may have consequences on food web dynamics of shallow lakes that are further discussed. We thank C. Petracchi, A. Sosnovsky, H. T. Von Bernard, D. Blanco Bello for their assistance. Thanks are due to two anonymous referees for their useful comments and suggestions on a previous version of this manuscript. JJ Rosso acknowledges research support from the Consejo Nacional de Investigaciones Científicas y Tecnológicas (CONICET). All applicable international, nationaland institutional guidelines for the care and use of animals were followed.